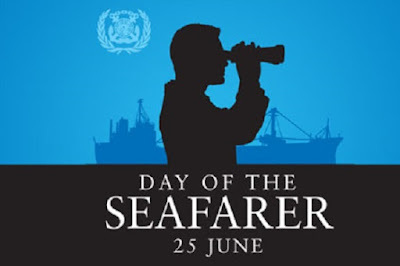 The purpose of the day is to give thanks to seafarers for their contribution to the world economy and the civil society; and for the risks and personal costs they bear while on their jobs. ஆண்டுதோறும் ஜூன் 25 ஆம் தேதி உலகக் மாலுமிகள் (கடலோடிகள்) தினம் (Day of the Seafarer) கொண்டாடப்படுகிறது. Day of the Seafarer is an innovative campaign that harnesses the power of social media to raise awareness of seafarers and their unique role. 2018 Day of the Seafarer theme is "seafarers' wellbeing".